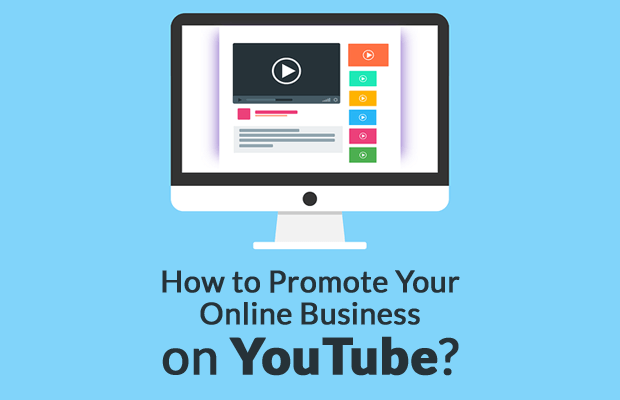 Want to promote your business with YouTube videos? Promoting your products on YouTube places your business in front of a massive potential audience if you set up your video presence for maximum impact. Today we will show you how to promote your product on youtube. We will show you the method through which you can able to do it. Consumers and business customers want to buy from people they know and trust. If you want to get or know about that site that can provide you or your customer’s enough trust to buy any product then you may use youtube cause YouTube provides an exceptional medium for you to present yourself and make your audience feel like they know you. To introduce yourself, talk about why you’re in business, and your qualifications you can post one or more videos on YouTube . You should make customers comfortable and that you care about their experience with your products and show them that you genuinely care about helping them solve their problems or meet their special needs. But you need to remember something that you need to keep these (videos) short -no more than a minute or two and you don’t want to bore them with an overabundance of details when your goal is to get the customer to make a quick, favorable impression about you and your business. Upload several different videos that show off your products from various angles. Make customers think about how they might use your product to meet their individual needs. You had better shoot the videos with a high-quality camera, don’t worry if you don’t have a high quality camera you can use your smartphone camera . You should make video contains only information that’s essential to know. Customers want the products or services, the company and the people who represent the company to be the top in their field. Make believable to the audience that your personal or business expertise shine through is to post informative videos containing tips and hints. You can create a presentation if you don’t have any person who can help you to make your video. Hire a freelancer to convert the PowerPoint to YouTube format if you cant’ do that. Consider hosting live video events for an even more personal touch. You can do so on a budget by scheduling a Google+ Hangouts On Air. You can use the event in many platform like launch a new product, answer customer questions. Advertise your video with links on your website, your email list, and postings to your social media profiles after you have uploaded your videos on youtube. Now you have know many ways to promote your product on youtube. Hope you like it.